We are so excited to announce our first organic knit collection “Elk Grove Knits”. 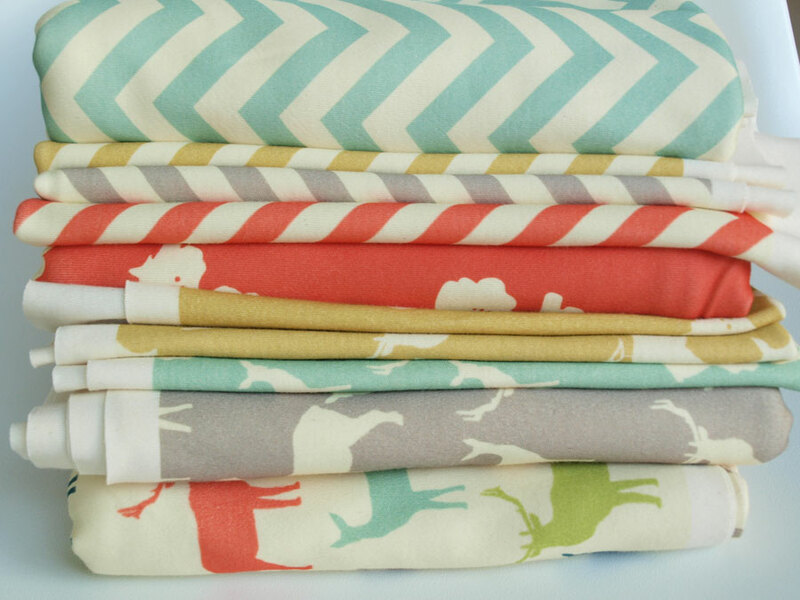 This collection consists of 10 perfectly coordinated prints, including chevrons, poppies, and a lovely elk print! 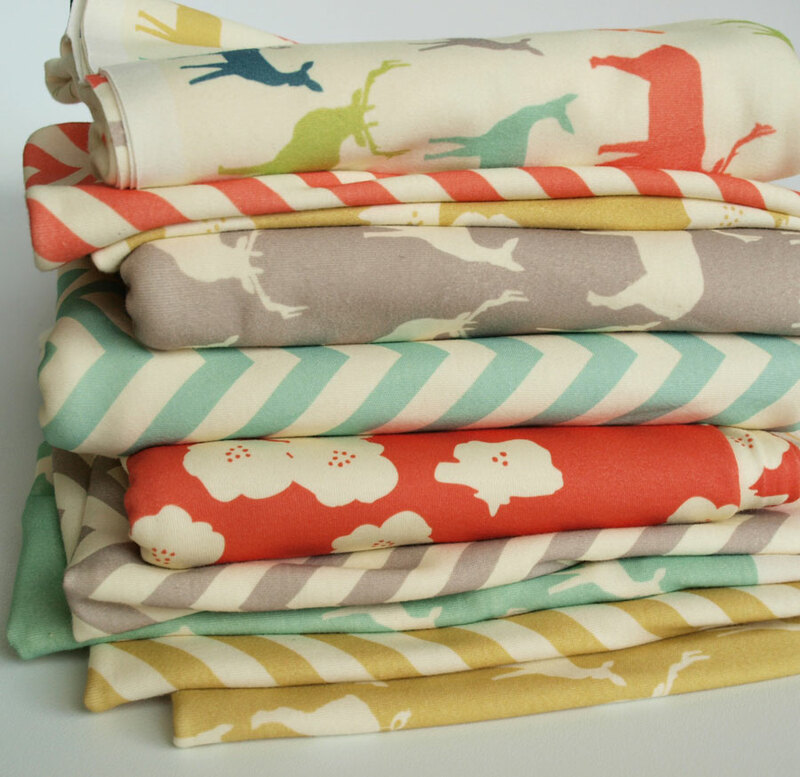 Graphic, sweet and unbelievably soft, this collection is perfect for babies and grown ups alike! The interlock knit is 44″ wide and has less than 5% shrinkage. It’s a lovely weight of approximately 5.7 oz per square yard. We know you are going to love as much as we do! I’ve already made a full length skirt in the Poppies Sun! Let us know what you think! Aaaaaaaaaaaaaaaaaahhh!!! 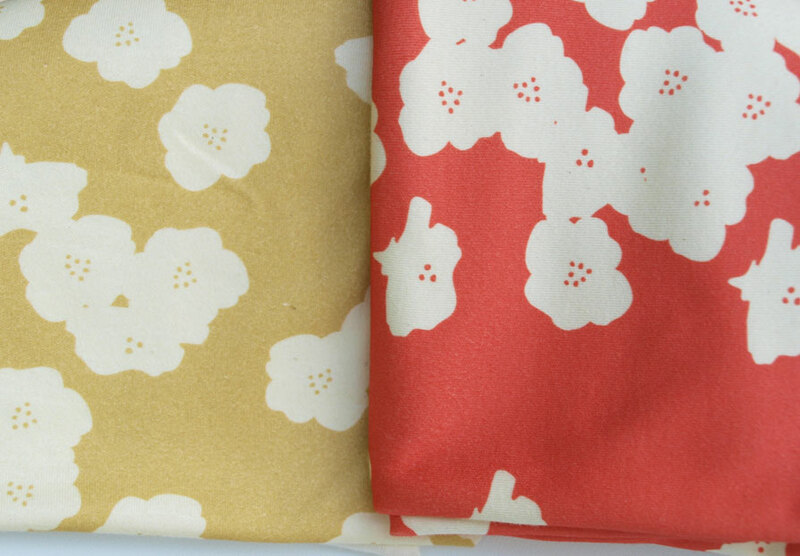 I've been refusing to buy any non-organic cotton fabrics (except for a few vintage bits) for quite a few years now – starting back when finding something other than unbleached canvas was exciting. This beautiful interlock collection was worth the wait! I'd love to sew a top for myself in the grey elks or pink poppies. Is it available now (i.e. birthday wishlist) or not quite yet (i.e. Christmas wishlist)?! 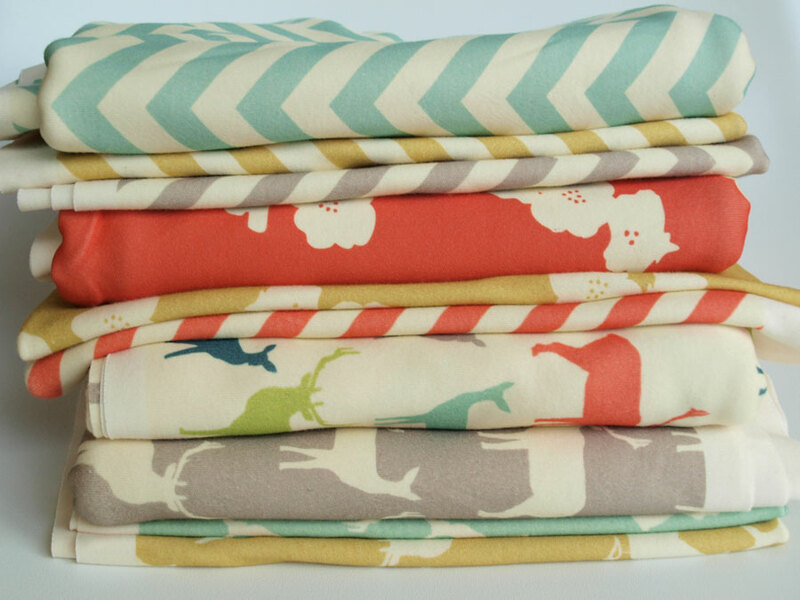 I would love the elk for pjs for my boys and chevrons for me! When will this be available for retail purchase? Great collection! Thats gorgeous! When and where? Ive already started sewing in my head. These are just stunning!! When will they be available for sale? Can't wait to get my hands on some. LOVE these and can't wait to scoop some of them up—the colors and graphics are really fantastic. please keep us updated on when they'll be available! Wow, thank you so much for your enthusiastic response to our knit collection! We are so excited for them also! They will be available around March/April 2013. I know it seems a long time to wait, we wish we could get them sooner! Beautiful!! Always looking for new sources of knits for our projects. Can't wait to order some of these. Wow! I look forward to carrying all of these. Thank you Cynthia for filling a need so beautifully! So excited to try these out! I've been longing for some organic knits for a while now! Any idea what the price point will be? magnifique !! où peut-on les trouver ? 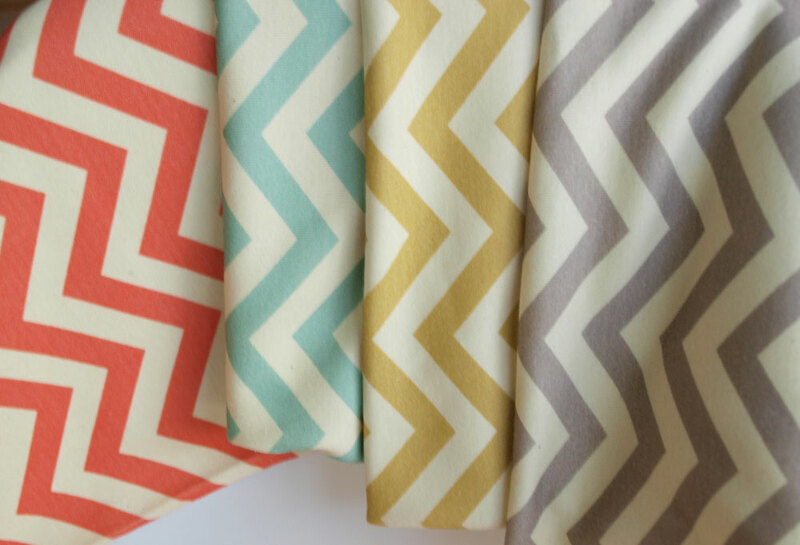 I love these fabrics!!! Gorgeous set! I am actually an owner of a retail fabric store. Do you have an interest in selling wholesale if you don't already. 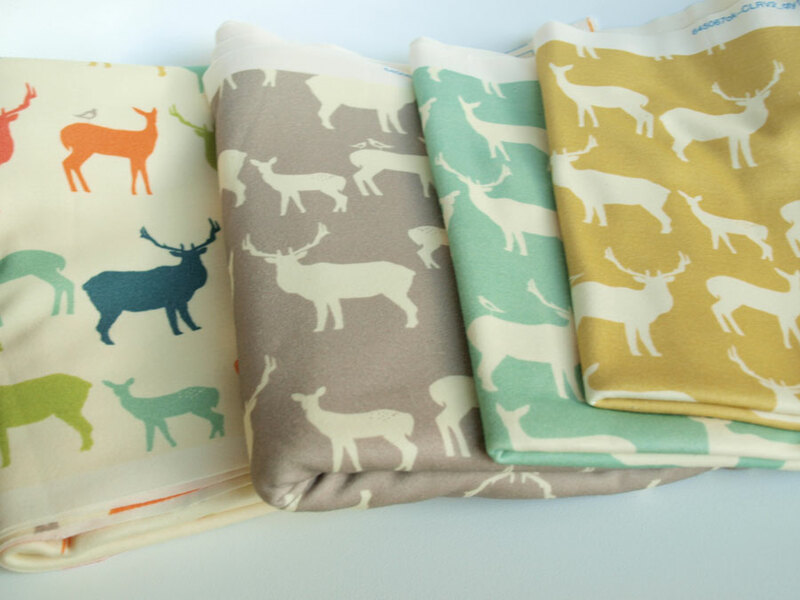 Will you contact me at juliesfabricstash@gmail.com with details on how I can get these adorable prints in my store? Thanks! Quilt Market Releases Online Now! !